When it comes to hobbies, most people get into activities like scrapbooking, baking, fixing old cars. Dr Anthony (Tony) Lake likes to examine the mouths of dead bodies. 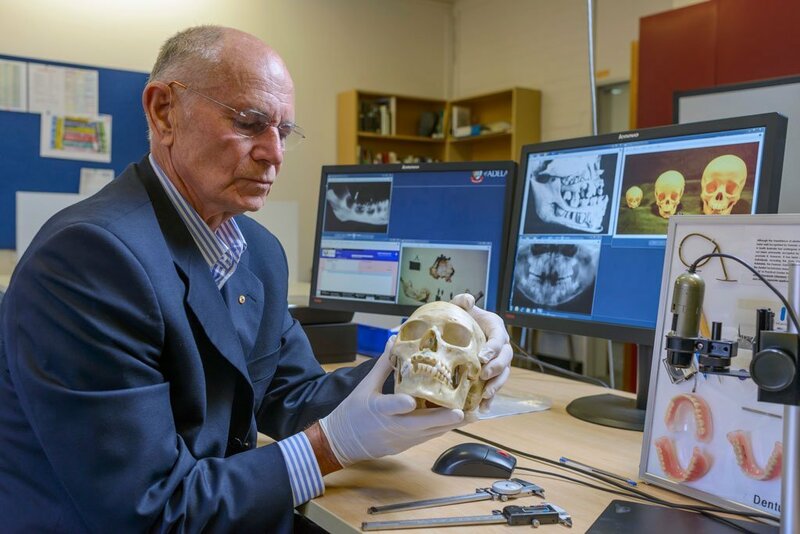 For nearly 50 years, the Adelaide-based dentist has been one of Australia’s top experts in the field of forensic odontology, identifying unknown victims in homicide cases, and fatalities of major disasters like the 2004 Boxing Day tsunami and Victoria’s 2009 Black Saturday bushfires. It’s not what most people would think of as a hobby, but Dr Lake isn’t like most people. “I call it a hobby. It’s basically a challenge and something to get your fingers working and so your brain doesn’t fall apart. The day it’s not a hobby I’ll probably lose interest,” he laughs. Hobby it may be, but forensic odontology has dominated Dr Lake’s professional life for almost as long as he’s been a dentist, and even more so since he retired from private practice 13 years ago. Now based at the University of Adelaide’s Forensic Odontology Unit, the 71-year-old divides his time between his campus office, where he works as an honorary teacher, and the morgue, where he is regularly called upon to identify a John or Jane Doe, sometimes from nothing but a piece of jaw. Still, don’t call him a forensic odontologist. “I’m not a forensic odontologist. I’m a dentist interested in forensic odontology; I’ve never got the specialist qualification. I want to make that clear,” he says. It’s a typical display of humility from the veteran dentist, who this year received a Distinguished Service Award from the SA branch of the Australian Dental Association (ADA), and was made a Member in the Order of Australia (AM) for his service in the field—a field he actually helped establish back in the early 1970s. Born and raised in Adelaide, Lake pursued dentistry straight out of high school on something of a whim—a “toss up”, he says, between following in the footsteps of his lawyer father or dentist uncle. Dentistry won: “I liked using my hands, and I used to spend a lot of time sitting in my father’s law office waiting for him after school and it was full of dust and didn’t look particularly exciting,” he laughs. Ironically, it wasn’t long after completing his bachelor’s degree that Lake would find himself pioneering a new career combining parts of both professions. In 1972, just two years after taking up at his uncle’s dental practice, Dr Lake was head-hunted by the South Australian Police to be part of a group of specialists heading up a new area of forensic research—forensic odontology. Not that it was called that back then. “In those days everything was so primitive. Forensic odontology wasn’t even known as forensic odontology in Australia. All it was was ‘talking to police’,” he says. Back then, dentists called upon to assist in police investigations were rarely paid, were given no training, and typically had to use their own equipment. Sometimes body parts were even delivered to a dentist’s consulting rooms or their home for an opinion on a case. “It’s sort of an off-putting thing for people to look at—they may not have even seen anyone dead before, let alone have a piece of a dead person chucked in front of them,” Dr Lake says. One of the first cases he worked on was the infamous “Truro murders”, one of Australia’s earliest serial killings cases in which the bodies of seven young women were uncovered in the South Australian towns of Truro, Wingfield and Gawler between 1978 and 1979. “We had a list of missing persons and … it was just a case of doing an identification compared to what the dental records showed from the dentist,” he says. 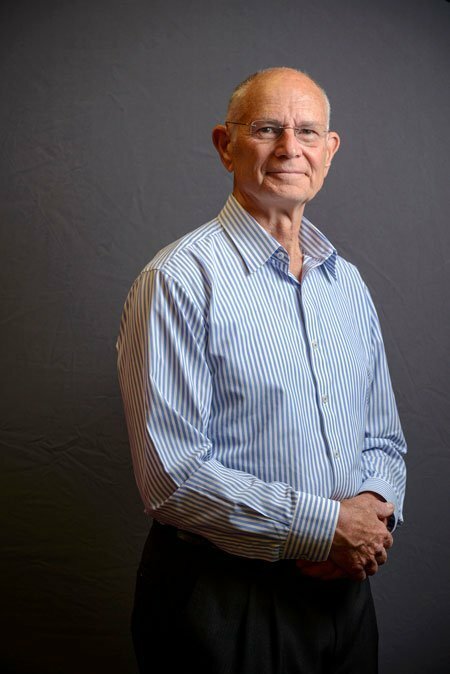 In 1982 Dr Lake co-founded the Australian Society of Forensic Dentistry, later to become the Australian Society of Forensic Odontology, a giant leap forward in formalising the field as a specialist area of dentistry. Since then he says forensic odontology has come a long way. “It has changed an enormous amount. It’s far more scientific now,” he says. One of the biggest challenges of Dr Lake’s professional life came when he was part of the disaster victim identification (DVI) effort in the aftermath of the 2004 Boxing Day tsunami in Thailand. With thousands of people missing, he and a group of specialists from 124 countries worked around the clock to identify bodies in nightmarish conditions. “After about a week you wouldn’t be able to recognise the bodies, in many cases you wouldn’t even be able to identify whether they were Caucasian or Asian,” he says. Working in a makeshift mortuary in a Buddhist temple with no refrigeration facilities, at times he says delving into the body bags was like “working in soup”. “In due course they got refrigerated containers and a couple of them didn’t work. You wouldn’t smoke near them as you opened them, you were always worried about an explosion—the gas that came out, the smell,” he says. It’s stories like this that highlight just how intensely specialised the role of forensic odontologist can be, particularly in the field of DVI. Working in such horrendous conditions would put a strain on even the most hardened soldier, but Dr Lake says it’s just another part of the job. “When I got on the plane going home that was it, I was finished. That was the way I looked at it,” he says. “That’s how I look at casework: I’ll do the work, I’ll do the report, I don’t want to know anything more about it. I tend to forget dates and people’s names, and that’s intentional, because if there’s a court case and I’ve been involved in it I don’t look at it—I’m not interested. Add to this the fact the work is pretty poorly remunerated—it’s a part time job at best, Dr Lake says—and it’s clear forensic odontology is not for everyone. “There’s only a very small community of people involved in forensic odontology in Australia, and I wouldn’t be surprised if that gets smaller because most wouldn’t earn as much from that as in just general practice,” he says. “You certainly don’t want to think of forensic odontology as your ‘job’. It is an extra job. You’ve got to have a primary job somewhere, and that’s your income. It’s got to be treated as a hobby. For Dr Lake though, forensic odontology is one hobby he’s not yet ready to give up. “I like to get outside my comfort zone—unfortunately, I find myself outside my comfort zone quite frequently,” he jokes. Previous articleRebuilding Smiles Program volunteers are the best!